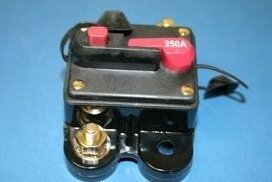 250 AMP 12V HIGH Power Circuit Breaker. Popular Shape. SELF Testing.